On behalf of the team here at Heathcote Chiropractic Clinic, we would like to wish you and your family a very Merry Christmas and Happy New Year! 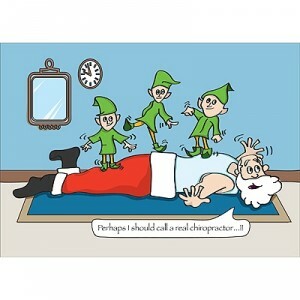 Thank you for entrusting us with your chiropractic care over the past twelve months! We hope you manage to have a restful time over the holiday period and enjoy spending time with your family and loved ones. We will be working reduced hours over the Christmas and New Year period but please contact the clinic if you have any problems and we will do our best to accommodate you. We are aiming to finish at lunch time on Friday 22 December and will be open for a few hours on the 27th, 28th and 29th for any emergencies. Our normal hours will resume the week commencing the 2nd January 2018. We look forward to helping you in 2018 be your best!